← $9,000,000,000,000 Missing From The Federal Reserve. Why should any American pay their taxes? Last Chance! Cut off for the drawing is today at 1:00 pm Pacific, 4:00 pm Eastern. Mark Schumacher is sponsoring a drawing for From the Trenches World Report. Mark has provided a brand new Midland 40 channel handheld CB radio for 1st prize in the drawing. 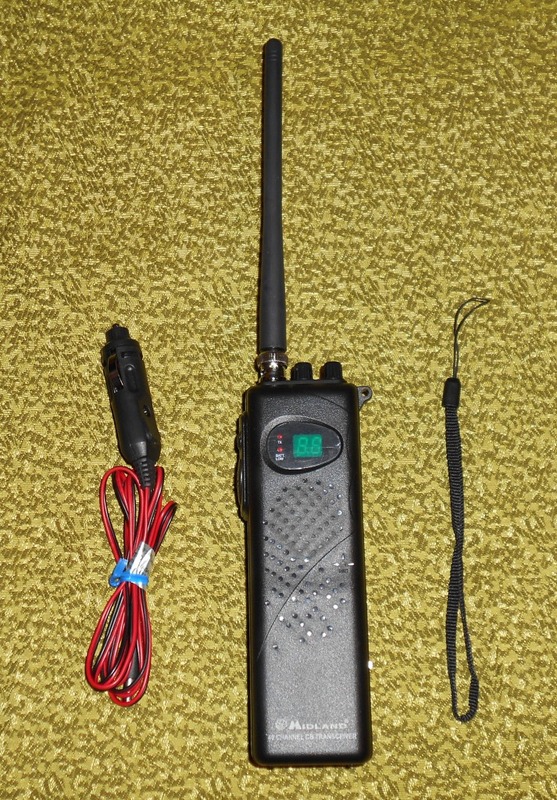 Mark has also provided a refurbished Midland 40 channel handheld CB radio for 2nd prize in the drawing. The drawing will run through June 5th. The names of the winners will be drawn on the Friday broadcast of The Word From the Trenches, in the final segment. We have received two donations since the drawing for the hatchets; those contributors are automatically in the drawing, one dollar per entry. To enter go to the donate button on From the Trenches World Report. Donations automatically enter you in the drawing, including all donations received via mail service prior to the drawing. If you don’t want to be in the drawing, please indicate via notation with your donation. The Midland 75785 40 channel portable CB radio provides great performance with 7 watts input and the FCC maximum allowable 4 watts output power. A precision PLL frequency control system delivers pinpoint channel tuning every time, and an electronic microphone comes through with plenty of crisp, clear talk power. It’s ideal for camping, fishing, hunting or any outdoor activity and it’s easy to carry and use. I have tested the refurbished radio and it works beautifully. Thank you Mark Schumacher and good luck everybody! This entry was posted in Broadcast, News. Bookmark the permalink. Real cool, Mark. Nice of you to help out the site like that. How many batteries does it take, and what size? You can power the 75-785 with nine AA alkaline batteries for use on the go. Alternately, fill it with rechargeable nickel cadmium AAs, and use the charge jack to recharge them all without removing them from the radio. Additionally, a DC charger is included for use with “cigarette lighter” power adapters in cars, trucks, boats, etc. Good luck my friend!. Sorry I couldn’t get back to you. I’ve been busy.